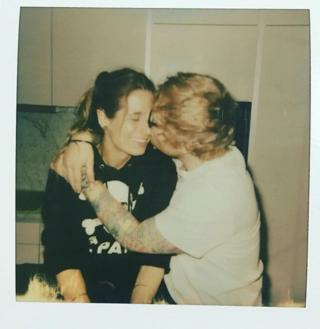 Ed Sheeran’s secret wedding: Did they or didn't they? Rumours are spreading about Ed Sheeran - could he and his fiancée Cherry have tied the knot in secret? Well, the truth of it is that we just don't know for sure. The couple have kept any info about a potential wedding date under wraps since Ed popped the question in late 2017. But today some newspapers are reporting that Ed and Cherry held a small ceremony in their Suffolk home just before Christmas. This isn't the first time there have been rumours about a secret wedding before, so until the couple announce something we'll just have to keep guessing! 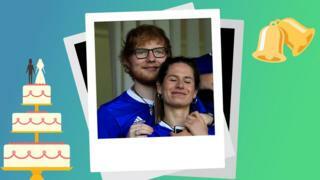 Ed Sheeran announced his engagement to Cherry Seaborn on Instagram in January 2018. Despite apparently not getting together until 2015, Ed and Cherry have known each other since they were young. They went to the same high school before Cherry left for the United States to attend University. Cherry's a keen hockey player, and her University's good reputation for sports is said to be one of the main reasons she chose to go to North Carolina, America. Ed has been seen wearing an engagement ring that Cherry made for him since they got engaged. Ed claimed that his song 'Perfect' was inspired by Cherry - and if that little dose of romance doesn't make you tear up, nothing will! Are Justin Bieber and Hailey Baldwin secretly married?